Discussion in 'JK Handmade Knives' started by JK Knives, Sep 15, 2018. I have no idea, you tell me what you want to see offered, and I’ll try to make it happen. I really need to get some orders coming in, so let’s hear your ideas. Kiridashi. I think this is a real cool knife shape Super simple but mean looking. I can’t sell a chisel ground knife for the life of me. If you want one bring a drawing next Saturday. 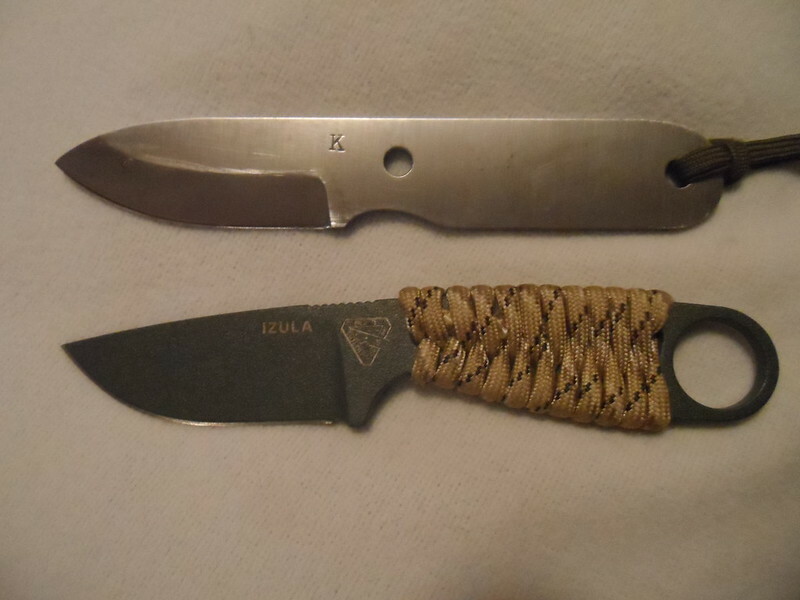 You once made a knife that looked an awful lot like an ESEE Izula. Which was that? Otherwise, a Potawatomi was my first JK and I'd like a new one to replace it. Maybe with more of a clip point than drop. Great pocket EDC for Chicago living. What is the story on these? They are only 4 1/2” overall length, but price starts at $180, and the maker can’t keep up with demand. I'm sure it's nothing more than the power of marketing. Interesting little blade iv never seen one before. I do know instagram knife makers are becoming more popular than they were. Seems like a trend thing but I don't really know. it's a nice EDC sized knife. greatscoot, xxwarderxx, cbach8tw and 1 other person like this. 7" OAL, 3 3/8" blade, 3 5/8" handle. 1/8" thick, 1" high between the ramp and bottom of choil. Wurrwulf, ty_higg and JK Knives like this. That sounds like a great size and looks extremely useful I like it a lot. mykel m and Wurrwulf like this. I also like the M13a lot, different enough from the standard patterns and yet very functional. Another idea, I have been enjoying the smaller one I got. The PSK doesn't look like an Izula but compares favorably in size. Maybe you are thinking of the R Grizzle Personal Assistant? It sounds like most prefer a smaller knife. I prefer a bird and trout size, a Toby's knife is on my radar. The pic of the small one I posted here just fits the hand and pocket, and is quick to deploy.